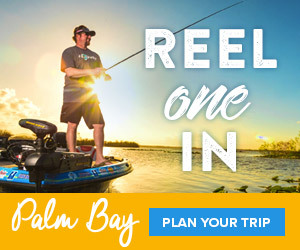 WHAT: For those who have been dreaming about summer camping, hiking, kayaking, fishing, picnicking and more, Bass Pro Shops "Go Outdoors" event provides a great opportunity to learn new skills and then gear up. A variety of free activities and seminars, designed to teach outdoor skills and improve existing ones, are offered. Events include free kids' crafts, photo downloads for the young explorer and barbeque sampling from the pros. 11 a.m. to 2 p.m. – Sample delicious funnel cakes. release pond. Kids visiting the Calgary, Alberta, Canada, and Anchorage, Alaska, stores can enjoy a casting pond. 11 a.m. to 5 p.m. – Free kids' crafts include creating a firefly hanging craft on Saturday, May 21 and coloring a raccoon draw pack on Sunday, May 22 (while supplies last). 11 a.m. to 5 p.m. – Free photo downloads. Kids can choose a frog or a bird that will 'magically appear' in their hand in the photo. They may also get a picture of them and their fish if they catch one at the pond. 2 p.m. to 5 p.m. – Fried fish samples available. 11 a.m. – Best Barbeque: Learn how to select the right grill, rubs, sauces and techniques for a great family BBQ. 2 p.m. – Conquering Campfires, Cooking and more: Discover what it takes to build a campfire properly and cook a tasty meal. 11 a.m. –Kids, Camping and Comfort: Learn how to select the proper equipment, tents, and outdoor activities to make camping fun, comfortable and exciting for kids. 2 p.m. – Kayaking: Keeping it Simple: Learn the simple steps for fun family kayaking and how to choose the best kayaks and local waterways. ***Bossier City, Louisiana; Harlingen, Texas; Tallahassee, Florida and Moncton/Dieppe, New Brunswick will offer free food sampling and demonstrations in lieu of BBQ sampling.